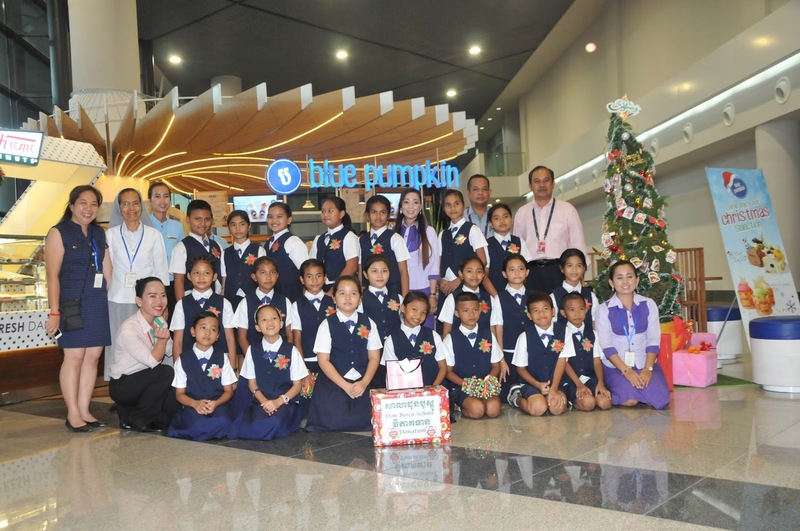 The Don Bosco School Teuk Thla Children’s Choir sing Christmas carols every year for about ten years at Hotel Cambodiana in Phnom Penh, Cambodia. 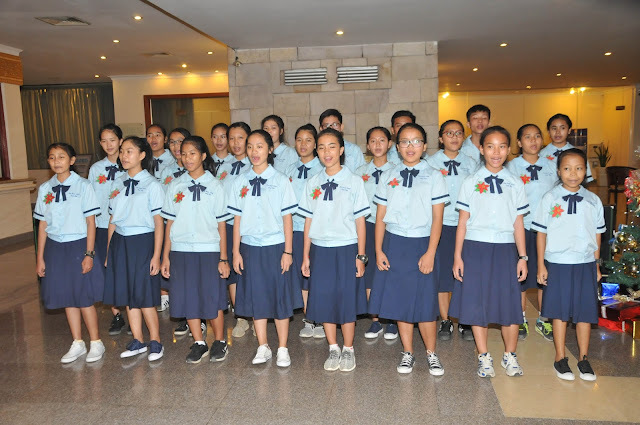 This group was formed to discover and develop the children’s talent for singing and increase their self- confidence. This year the group was invited by the marketing manager of Saji Bumi Restaurant which has a couple of outlets at Phnom Penh International Airport to sing on December 22 from 3:00 to 6:00 p.m. They sang in three places where passengers wait. So many travellers stopped and listened with joy while a few posed with the choir for photo. Many dropped some donation in the donation box. 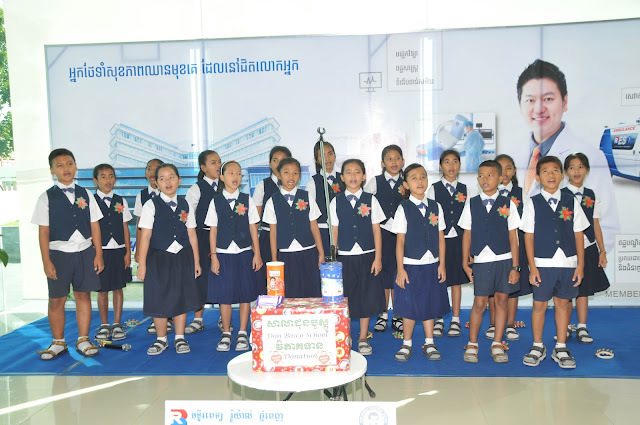 While the group was singing, a director advisor of Royal Phnom Penh Hospital who enjoyed listening to the choir asked Sr. Teresa who accompanied the choir, if the group can sing to their clients at the hospital on the 24th morning. The director requested the group to perform (12 songs) for 2 moments from 8:30 to 9:30 with a break in between. A special time was set aside for the patient from England who has been admitted for three months. The performance moved some listeners including the hospital staff to tears of joy. Some days later the bishop of Phnom Penh requested the same group to perform during program in the evening for the annual gathering of priests and religious, lay missionaries and parish leaders on the Solemnity of Epiphany (January 8,2017). The children continue to give joy to the listeners and lift their hearts to the Lord.